Keely and Aaron Montoya are a husband and wife team that offer wedding photography and cinematography. 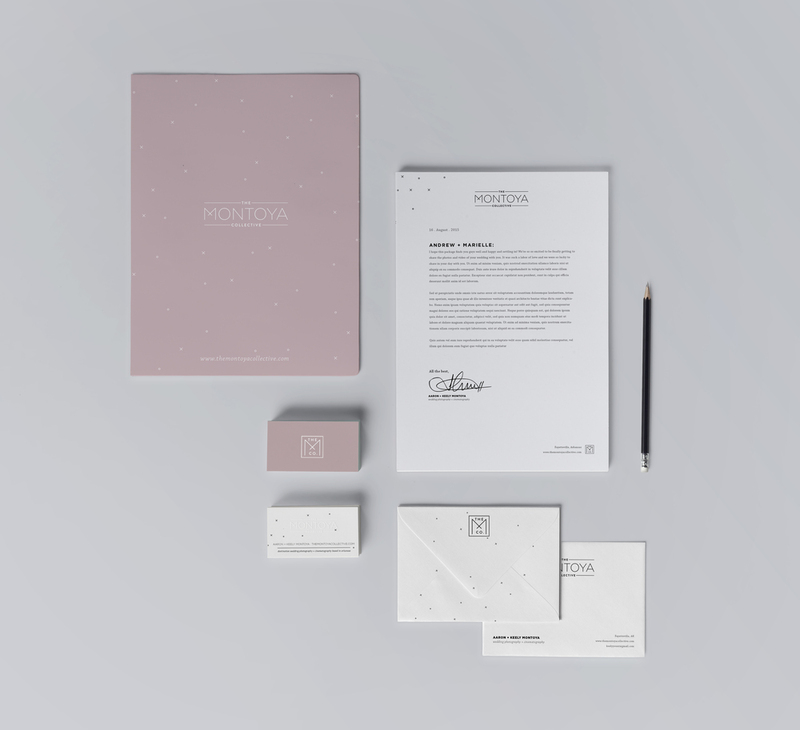 They needed a more cohesive and professional face to their business, and I was enlisted to design a new logo, investment guide, and comprehensive stationary. They wanted to stick with a minimal but classic color palette and iconography. Taking inspiration from their bread and butter, I opted with a dusty rose and tiny x’s and o’s. 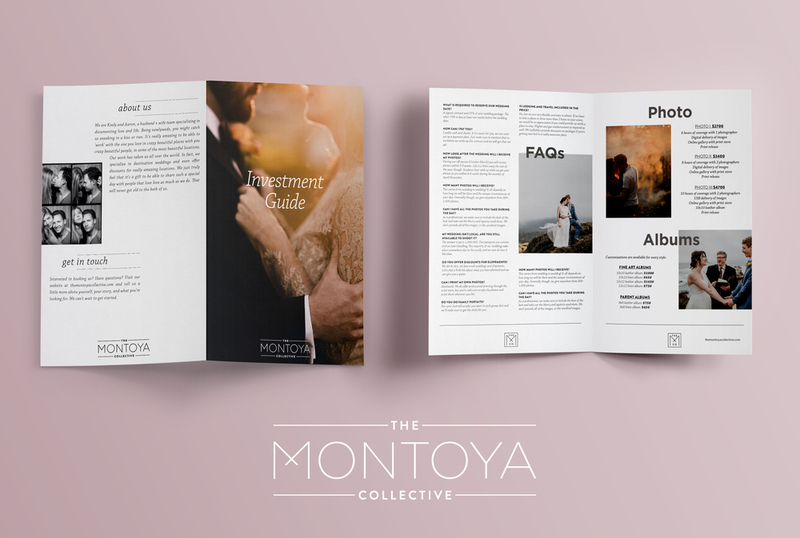 I designed the investment guide to be visually engaging but also convey all the necessary info a prospective client would want when shopping for a photographer.